For years, police in Newark, N.J. regularly handed out citations to residents for minor offenses. Known as “blue summonses,” the citations were intended to curb crime in a city rife with violence. 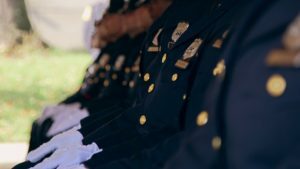 Officers who racked up high tallies were rewarded with better assignments and overtime, according to police and federal officials. Ultimately, police and residents said, the practice damaged the Newark PD’s relationship with the minority community and did little to reduce crime. It also helped lead to federal intervention in the police department last year. Newark’s blue summonses were rooted in the 1980s-era theory known as “Broken Windows,” which argues that maintaining order by policing low-level offenses can prevent more serious crimes. But in cities where Broken Windows has taken root, there’s little evidence that it’s worked as intended. The theory has instead resulted in what critics say is aggressive over-policing of minority communities, which often creates more problems than it solves. Such practices can strain criminal justice systems, burden impoverished people with fines for minor offenses, and fracture the relationship between police and minorities. It can also lead to tragedy: In New York in 2014, Eric Garner died from a police chokehold after officers approached him for selling loose cigarettes on a street corner. Today, Newark and other cities have been compelled to re-think their approach to policing. But there are few easy solutions, and no quick way to repair years of distrust between police and the communities they serve. Although it was first practiced in New York City, the idea of Broken Windows originated across the river in Newark, during a study by criminologist George Kelling. He found that introducing foot patrols in the city improved the relationship between police and black residents, and reduced their fear of crime. Together with colleague James Wilson, he wrote an influential 1982 article in The Atlantic, where the pair used the analogy that a broken window, left unattended, would signal that no one cared and ultimately lead to more disorder and even crime. Kelling has since said that the theory has often been misapplied. He said that he envisioned Broken Windows as a tactic in a broader effort in community policing. Officers should use their discretion to enforce public order laws much as police do during traffic stops, he said. So an officer might issue a warning to someone drinking in public, or talk to kids skateboarding in a park about finding another place to play. Summons and arrests are only one tool, he said. In practice, Broken Windows has come to be synonymous with misdemeanor arrests and summonses. In New York, the largest city to implement the practice, between 2010 and 2015, police issued 1.8 million quality of life summonses for offenses like disorderly conduct, public urination, and drinking or possessing small amounts of marijuana. Felony crime rates, meanwhile, declined. But a report released last week by the New York Police Department’s inspector general’s office found “no evidence” that the drop in felony crime during those six years was linked to the quality of life summonses or misdemeanor arrests, which also declined during that time. “That’s basically what we’ve been finding for years — a lack of any evidence of an effect,” said Bernard Harcourt, a Columbia Law School professor who has conducted two major studies on the impact of Broken Windows in New York and other cities. The NYPD, led by Police Commissioner William Bratton, an early supporter of Broken Windows, said in a statement that the inspector general’s study was “deeply flawed” because it only examined arrests and summonses, not the agency’s broader quality-of-life efforts. Kelling, who has used misdemeanor arrests to evaluate the theory, wouldn’t comment on the study, saying he’s still a consultant to the department. Some policing experts say that Broken Windows is a flawed theory, in part because of the focus on disorder. Kelling argues that in order to determine how to police a community, residents should identify their top concerns, and police should — assuming those issues are legitimate — patrol accordingly. But disorder doesn’t look the same to everyone, Harcourt said. “Definitions about what is orderly or disorderly or needs to be ticketed, etc., are often loaded — racially loaded, culturally loaded, politically loaded,” he said. He cited New York’s recent decision to crack down on subway performers, who are often young black men, as an example. Giving police discretion to enforce public order laws, he added, “becomes extraordinarily problematic because of racial, ethnic and class-based biases, and including implicit biases” that can come into play. Linking disorder and crime can also change the way officers perceive residents, by creating the assumption that those committing minor offenses may do something worse if they’re not sanctioned, said David Thacher, a criminologist and professor at the University of Michigan. It can also lead police to use minor offenses inappropriately as a pretext to search for more serious contraband, like guns or drugs, he said. In Newark, police saw the effect of blue summonses on their community first-hand. James Stewart, president of Newark’s Fraternal Order of Police, the largest police union, told FRONTLINE that the frequent stops and citations made people mistrust the police, and much less likely to cooperate when officers were investigating serious crimes. But, he added, because officers who racked up summonses were chosen for plum assignments, many felt they didn’t have much of a choice. To boost their summonses numbers, residents said, officers often chose “convenient targets,” including the elderly, or those with mental illnesses or disabilities, according to a civil rights investigation by the Justice Department. Those cited also appeared to be disproportionately black or Latino. Ryan Haygood, an attorney and longtime Newark resident, argued that officers shouldn’t have to overstep the law to maintain order. Meanwhile, he added, the department’s efforts have done little to make the community safer. In its investigation, the Justice Department also questioned the practice’s impact on crime reduction. Is there a way to conduct order-focused policing in black and Latino communities — asking officers to deal with the kid skateboarding recklessly in the park, the guys loitering on the corner — without criminalizing the people who live there? Activists with the Black Lives Matter movement say no. They’ve called for an end to enforcing — or at least criminalizing — minor offenses. Policing experts don’t go that far. But most today, as well as the Justice Department and President Barack Obama’s task force on policing, recommend that police embrace a broader notion of community policing, which requires officers to get to know the people they serve and respond more directly to their needs. While it didn’t specifically address Broken Windows policing, the task force noted that police should adopt policies that emphasize community engagement and trust. That’s already happening in a few places. In New York this month, the city council passed a bill requiring police to establish written guidance on how officers should use their discretion to enforce certain quality-of-life offenses, such as littering and unreasonable noise. It also allows officers to issue civil summonses to avoid routing people through the criminal justice system for minor offenses. Cities like Milwaukee, Philadelphia and New Haven, Conn. have introduced foot patrols, which can allow officers to engage more closely with residents. Portland, Ore. and Seattle — both cities under a reform agreement with the Justice Department — have placed a renewed emphasis on community policing, including encouraging officers to conduct foot patrols. In Seattle, overall approval ratings for the police have risen, although they remain stagnant with African-Americans. Last year, an independent assessment in Portland found that overall, 70 percent of residents said they would be treated fairly by police, but that African-Americans in particular remained concerned about discrimination and excessive force. In Newark, Mayor Ras Baraka told FRONTLINE that the police department will return to what he called “neighborhood policing.” As part of the mandated reform process, officers are being re-trained, and given more accountability. Additional reporting by Anya Bourg and James Jacoby of FRONTLINE’s Enterprise Journalism Group. 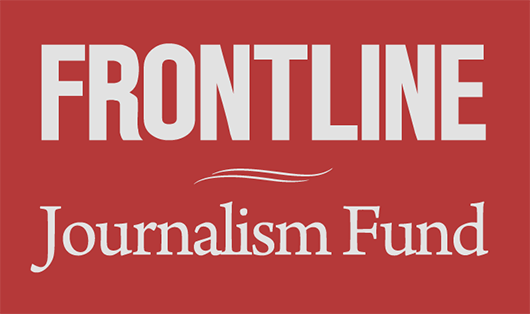 Funding for the Enterprise Journalism Group is provided by the Ford Foundation. Additional funding is provided by the Douglas Drane Family Fund.